Tommy Robinson is a real patriot he is what we need at the moment he is from England but we need more people like him here in the USA! Before he was arrested he took a video of illegals who are covering their faces, running to their vehicles to get away. You can’t hide any longer, people have had enough. MSM was silent on this so Tommy decided to take action! He was in Italy covering the Italian elections — explains in his video that he wanted to document the area in which journalist Francesca Parisella of Matrix Channel 5 was attacked live on air in early 2017. 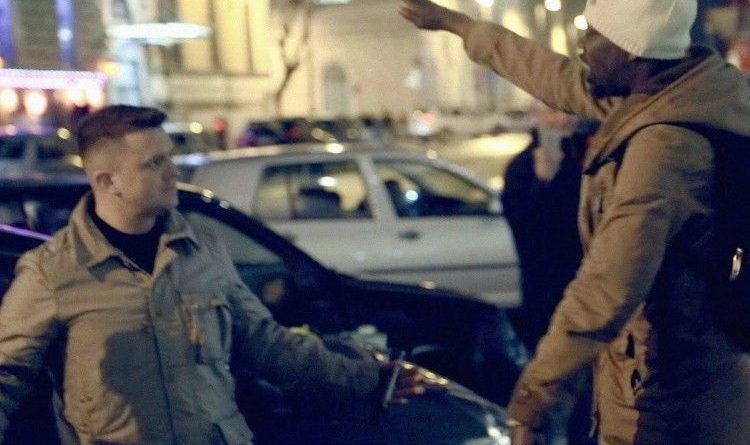 “I tried to start digging deeper into Italy’s spate of high-profile, migrant attacks,” he tells the camera, before sharing the footage of what happened to him in the neighborhood around Rome’s Central Station. While I was filming a report in a no-go zone a group of migrants tried to attack my camera crew. They were screaming abuse, coming at the camera repeatedly and threatening to kill me. I was forced to act to defend my film crew. in this situation, the mainstream media would have preferred I let him kill me”. Journalists have been attacked a number of times across Europe in recent years, with multiple incidents occurring in Sweden alone. Yesterday justice finally worked and Tommy Robinson has been freed on bail by leading judges after winning his challenge against a contempt of court finding.